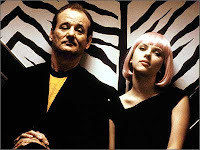 The Snooze Button Generation released its top 10 films of the 2000s today with Christopher Nolan's "Memento" edging "Eternal Sunshine of the Spotless Mind" and "Lost in Translation" for the top spot. Seriously, "Memento" (2000) is a tour de force that flips over conventional storytelling and brings up various critical philosophical ideas. It is the Snooze Button Generation's favorite film of the past decade and is part of an answer to the numerous newspapers, magazines and websites that are coming up with their lesser lists of the decade's best films. Paste Magazine http://www.pastemagazine.com/blogs/lists/2009/11/50-best-movies-of-the-decade-2000-2009.html did a solid job with a top 50 of the 2000s, and the SBG agrees with many choices. But the following, with "Memento" in the top spot, are the real top 10. The idea of compartmentalizing good and bad memories might seem like a smart idea. But aren't they all connected? What a concept, and, man, this movie made me cry. ... Obviously, on this list, I lean heavily toward originality and strong writing over action, adventure and Hollywood conventions. Ever have a friendship, or acquaintance, that means so much to both parties, but is unconventional and hard to explain? Hell, I do. What a killer final scene! I loved the acting by Laura Linney and Mark Ruffalo because I never once thought they were acting. Hey, I'm kind of a writer guy, and I relate to this film. Michael Chabon is among my favorite authors, and I think I should probably crank out something like this when I have a free weekend. As an unfortunate rule, movies about teachers are fake. But not this one. Ryan Gosling is probably the top male lead under 30 out there, and he also deserves a shout-out for his role "Lars and the Real Girl," which also is a pretty darn good film. David Lynch is da bomb, and weirdness and suspense fill this film. Toss in a lesbian scene, and forget about it. This one's a winner. This pick also is a shout-out to my homeland of Cleveland, where it was filmed. There's a little bit of Harvey Pekar in all of us. Isn't there? It's hard to find "Superbad" on any top 10, or even top 50, list like this, but its dialogue is way more realistic than other teen movies, including "Juno." Both hilarious and real, "Superbad" edges "No Country for Old Men" and "City of God" on the Snooze Button Generation's best of the 2000s list, though those are excellent films, too. Hey, although I haven't published it yet, your #2 is my #2, also...no, I'm not referring to poop.